Dr. Constantinos Georgiadis, Civil Engineer, 1973, (Ms.Sc) Master of Science in civil Engineering, University of Washington, USA 1979, Doctor of Philosophy (Ph.D.), University of Washington USA, 1981. 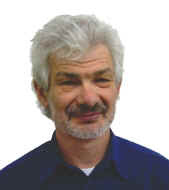 During 1981-1987 he worked at SINTEF (the Foundation of Scientific and Industrial research for the Norwegian Institute of Technology), Norway, on subjects like computer modeling of platforms and finite element analysis. From 1990 to today he directs RUNET and works in developing computer programs for structure design. 1994-1997 visiting professor at the department of computer science in University of Ioannina, Greece. Coowner of RUNET Norway as, a norwegian branch of the company started in 2003.